Sun protection is key to staying safe in the sun! 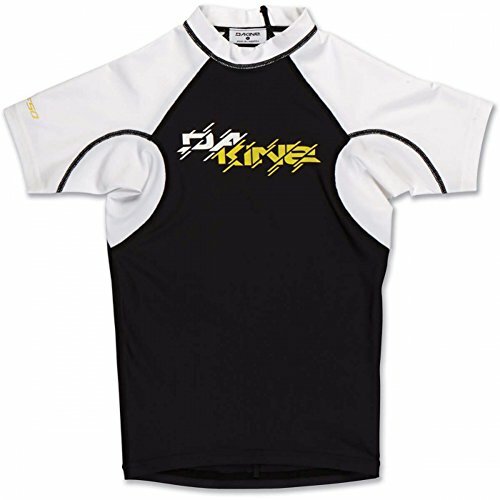 The Dakine Kids Heavy Duty Snug Fit Short Sleeve Rash Guard provides a comfortable fit while providing exceptional coverage and protection. UPF 50+ sun protection. Boardshort connector. Flatlock seams. Raglan cut sleeves. 89% polyester, 11% elastane. Material: Polyester, elastane.